and later as a doctor in Bishop Wearmouth near Sunderland/England. 1811: Clanny made first trials to develope a safe lamp. 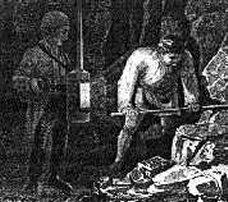 1813, May 20.: Clanny desribes his first construction in a paper "On the means of procuring a steady light in coal mines without danger of explosion"
for the Royal Philosophical Society. It was the so-called "bellows"-lamp, a tin lantern with glass window, candle and bellow. The in- and outlet air passed water barriers by using the hand bellows. The waste gas passed a tin chimney. The "bellows" lamp found no practical application. Clanny's first lamp ("bellows"-lamp), Clanny's second lamp ("blast"-lamp), Clanny's third lamp ("steam"-lamp). 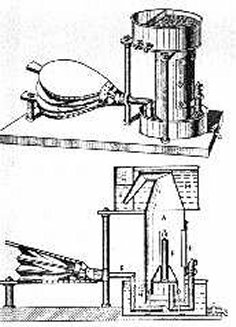 1815, October 16.: Clanny's second lamp, the "blast"-lamp, was tested in the upcast shaft on the Herrington Mill Colliery. was used 1816 in several collieries (Herrington Mill, Whitefield Colliery, Engine Colliery, Lady Frances Vane's Mine). 1816, May 31.: Clanny gets for his "steam"-lamp an award from the Royal Society of Arts, a silver medal. 1817, May 27.: The Royal Society of Arts honours Clanny with a gold medal. ~1841: Introduction of Clanny's sixth lamp, the typical "Clanny"-lamp, with glas cylinder around the flame and air supply through wire gauze above the glass. 1848: Public testimonial for "the constructor of the very first safety lamp that was ever invented". The Athenaeum/Sunderland presented 100 Sovereigns to him.